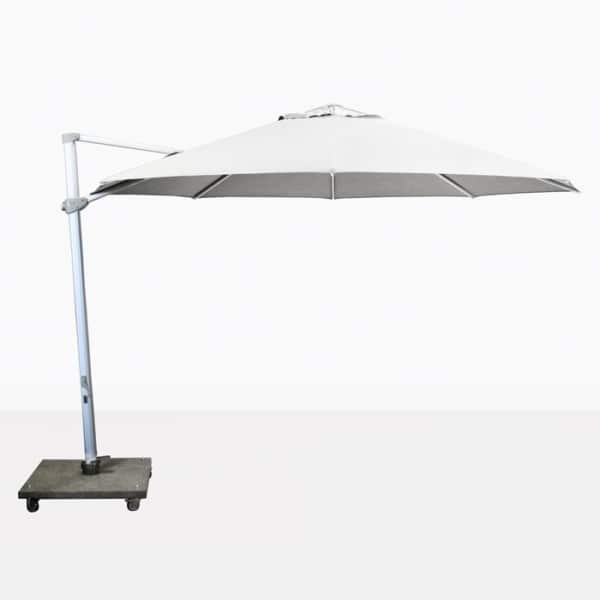 The white Antigua 11’6″ Round Cantilever Umbrella functions seamlessly to keep you in shaded comfort. 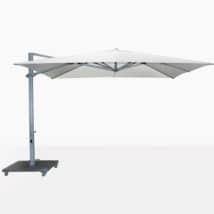 This umbrella rotates 360° in the horizontal position so that you can easily provide shade where need it most. 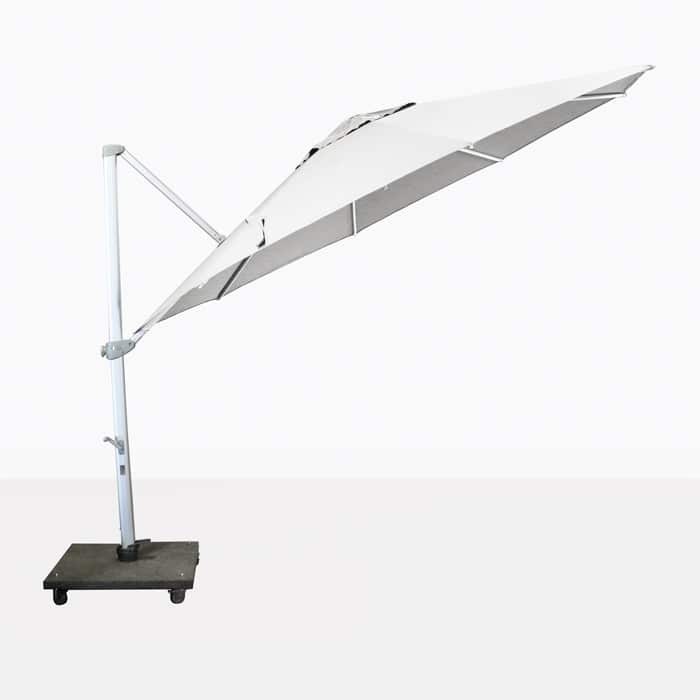 It also tilts, giving you more options for sun protection. 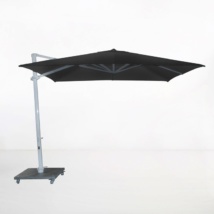 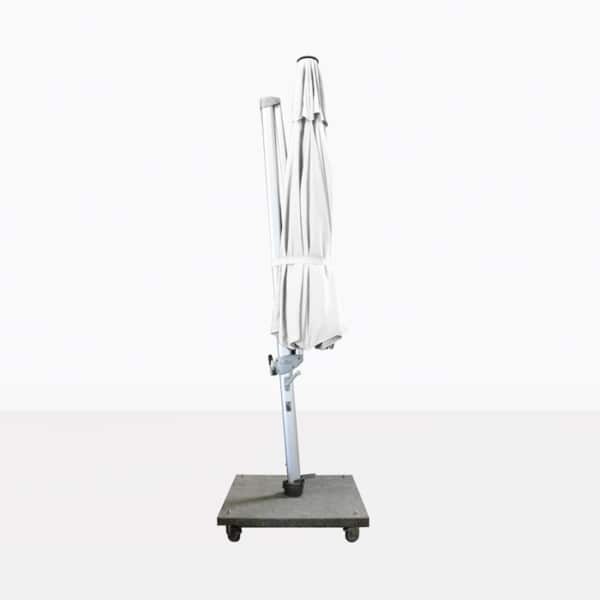 The mechanism to move, adjust, open and close this umbrella is very easy to use. The height of the Antigua Round Cantilever Umbrella is 110’ from the bottom of the base to the top of the white canopy. 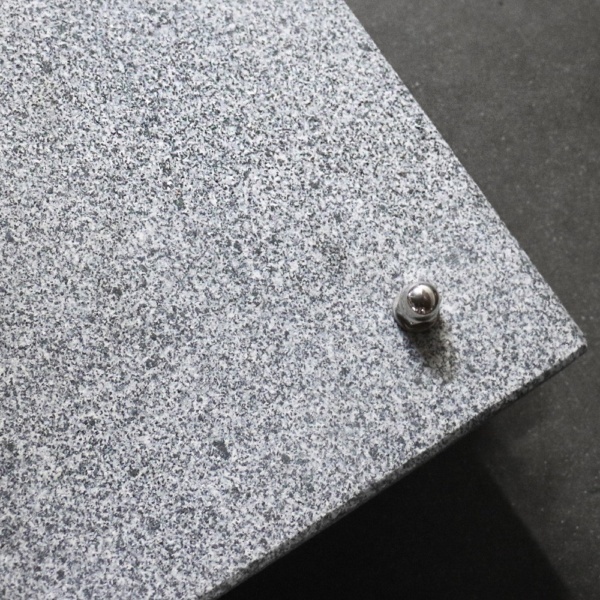 The granite base with wheels is included in the price as shown. If you have questions about this white patio umbrella, call us today! 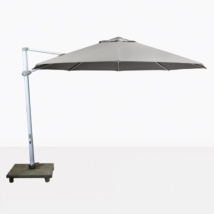 At Teak Warehouse we provide a wide range of options for shade, and all of our cantilever umbrellas use durable, weather resistant Sunbrella® fabric. 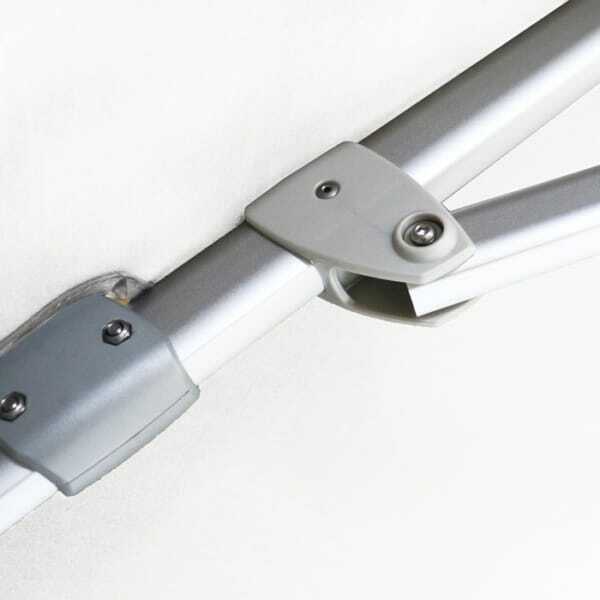 Available in two other colors.